Last week I had the honor of participating in an important charity event sponsored by our Texas Cadillac dealers. 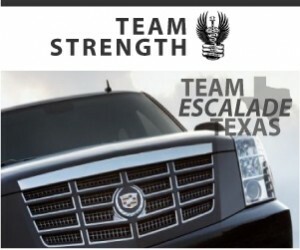 Team Escalade Texas has put up a $150,000 advertising budget for six great charities (more about them in a moment). And YOU get to vote for which of those charities will get the funds. This particular event started at the Escalade plant in Arlington, Texas; an amazing facility currently putting my fellow Texans to work. From there the celebrities, the Cadillac execs and us bloggers road together in Escalades fresh off the line to the press briefing in Dallas, complete with police motorcycle escorts. The photo above shows some of Team Strength’s members, supporting the cancer charity Love Hope Strength. Nothing like standing next to a couple of superstar athletes to make ya feel frumpy. I road to the event with Brent (left) & ND Kalu, a couple of the nicest guys you’ll ever meet (off the ice & football field). Clearly I’d like you to vote for our Team Strength, but honestly you can’t go wrong voting for any of the following great charities. The only thing you could do wrong is not vote. And remember you can vote every day through the end of October so add a reminder to vote each day. Thank you for your support! 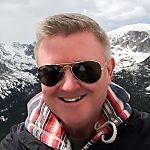 Click here to vote every day! 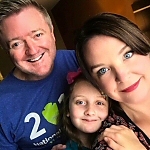 * A Daddy Blog is working with Team Escalade Texas to spread the word about this important program and the 6 charities involved, courtesy of 18 Texas Cadillac Dealers. All of them are GREAT charities and I love how these and other celebrities gave of their time to support such worthy venture!! Yes, I didn’t even mention that Drew Pearson was hosting it! It really is cool when people like this give of their time and influence to help out those less fortunate. I spent the most time with Brent Severyn & ND Kalu since we drove to the event together, and I must say they were the nicest, most self-effacing guys you’d ever meet! Big kudos to all the celebrities! p.s. You’d like to meet Shirley MacLaine? I loved some of her early films, e.g. The Apartment (great film) with Jack Lemmon, but isn’t she a bit of a kook? Can’t argue with Billy Joel, he’s a very talented writer/musician. I’d love a photo with Katherine Hepburn…just love her. Yeah, they were both really nice and also very generous with their time for such great causes. 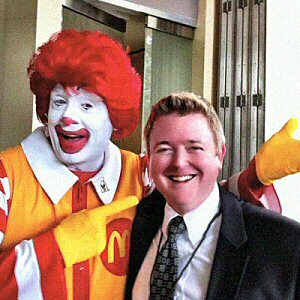 As for me looking happy to meet Ronald McDonald, I was thinking of how much my daughter was going to love the photo! That’s my story and I’m sticking to it. p.s. Yes, I love Kate Hepburn, too. One of my favorite films is The Philadelphia Story with her, Jimmy Stewart & Cary Grant. I already have a photo with Robert Smith of The Cure and to me, he’s the biggest celebrity I’d ever care to meet! Otherwise, I think I would have to go with Mario Lemieux, Sidney Crosby or Jennifer Aniston. 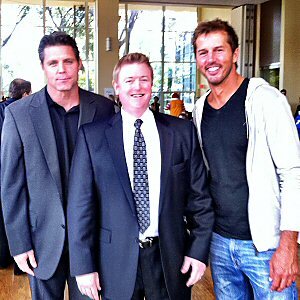 Yeah, even as I guy it was hard not to notice Modano was a moderately attractive guy. 😉 Actually when I first saw him from a distance earlier that morning I thought he was a rock star or something. Most of the sports guys were in suits, but he was rockin’ a stylish hoodie. Thanks so much for your comment, Erin. Good list of celeb’s there. Wow! This is indeed a great charity. Helping cancer patients by giving love, hope, and strength is a fulfilling experience.